We offer a range of associated services to complement our technical capacity. At Coral Vision, we offer a range of associated services to complement our technical capacity. At the heart of our approach is consultancy, the opportunity to speak to an expert who will use their experience to find a great solution for you. We also offer additional services in Content Creation, Office Relocation and Training Services. Our team of in house system and CAD designers ensure that the foundations of all our designs and delivered to the very best standards. 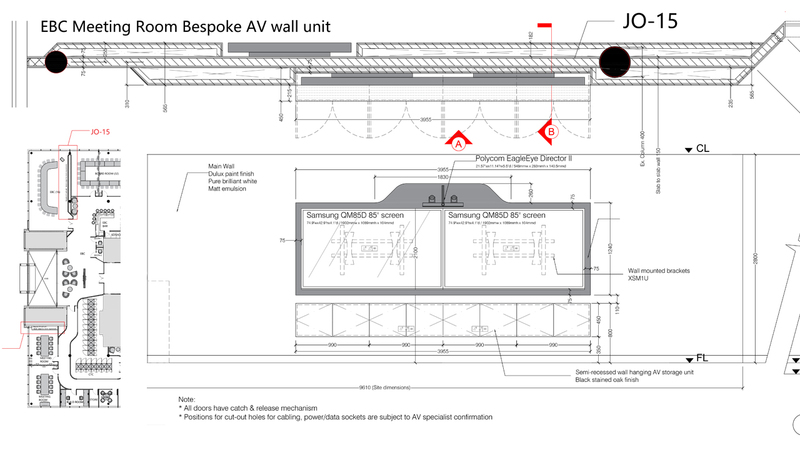 From client conceptual drawings to technical schematics, elevations and general arrangements we pride ourselves in with the knowledge that our projects are delivered consistently to ensure effective communication with the client and other trades. Drawing packages include: schematics, floor plans, reflected ceiling plans and front / sectional elevations all produced in CAD and once approved are then provided with all supporting information necessary to facilitate production and site installation. Document control ensures any updated drawings are recorded and distributed as necessary. Other trades drawings will be marked up to detail AV cable routes and mounting arrangements. 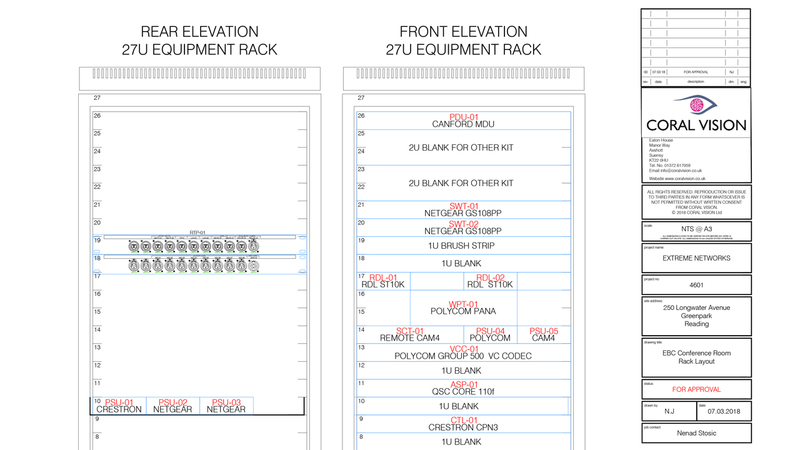 Coral’s rack build production services are recognised as an industry leader and are some of the most accomplished and sleekly engineered rack systems. At Coral we adhere to strict standards when it comes to putting together a professional equipment package for your business. All our kit is thoroughly tested at our specialist facility and only shipped when we are entirely happy with every aspect of it. So when the hardware hits your site, it is ready to go and is optimally primed for peak performance. Control systems are user friendly interfaces into your Coral installed system. Whether it be via a dedicated hardware solution or simply from the screen of your tablet, our systems bring to life each element of your installation. From this, you can control access to screens, lighting, sound levels, air conditioning, as well as other physical aspects of a meeting area. 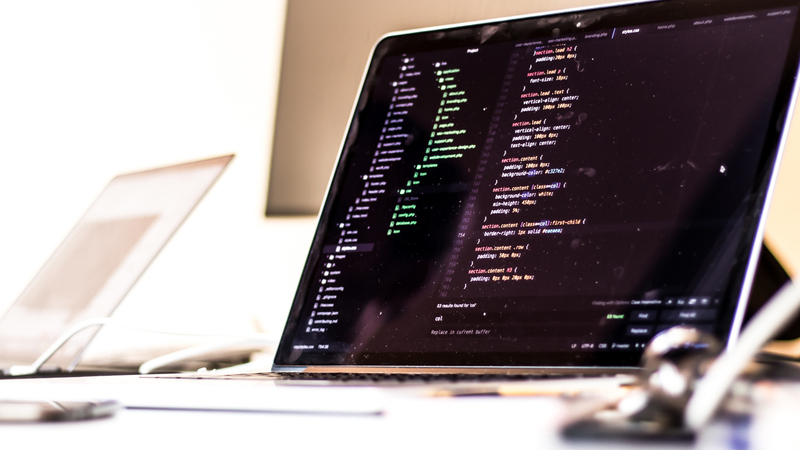 Instead of users having to figure out a complex sequence of instructions, all the functionality is honed into a friendly graphical user interface that allows them to control their environment. 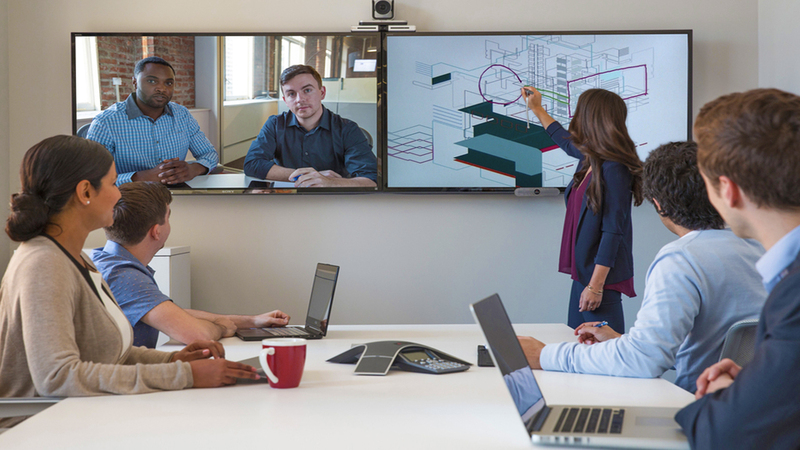 This could be as simple as setting up a room for a video conference at the touch of a button to controlling a series of video inputs that need access to a screen. Our team have many years’ experience in custom building these solutions, ensuring that your priorities are fully met and that your users have a stress free experience. Your Coral system is only as good as the knowledge level of the people who use it. Whether you require a series of short sessions to induct key staff in the basic elements of your new Coral facility or a set of in depth technical seminars to assimilate your existing support staff, we can create a solution that fits the need. Visual collaboration and communications are now a vital part of many organisation’s overall strategy. To gain maximum value for your staff and return on investment, a comprehensive end user adoption programme is imperative. Our experienced trainers can deliver the level of course that suits the needs of your key staff, as well as being around to ensure that they receive support in the early days of system adoption. At Coral, we integrate and maintain stunning IT & Audio Visual Communication systems throughout the UK and internationally, to help our clients create highly effective and integrated communication systems to convey your messages and to help you tell your story – where and when you want them to be seen and heard. Our PMs use industry standard methodologies to ensure you’re project is delivered on time and on budget. All project management roles are carried out by permanent staff members, ensuring consistent quality and continuity of contact for the client. Sub -contract staff is only used when necessary and from a pool of long term contractors that have proven themselves over the years. 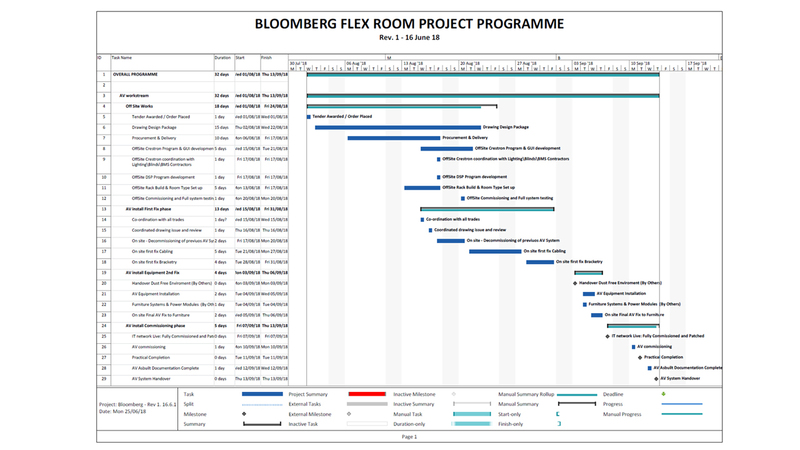 The PM will not only be responsible for managing his team, but will carry out the following duties as well, Contract Review, Schedule of Works review and tracking, Site Surveys, Production of risk assessments and method statements, Site meetings, Management of variations Handovers and snag resolutions. Corals’s creative media team are fully equipped to fulfill your content requirements. You will benefit from our extensive knowledge on your next project through our team of CG art directors with architectural and interior experience. Our primary goal is to offer an easy workflow and add value with an innovative, creative and captivating offering. We consistently providing high quality digital media that will innovate and captivate. Consultancy lies at the core of what we do. Our trusted consultants build dedicated and long-term relationships. From modest to grand-scale projects, success depends on the smallest components and we understand the importance of a carefully phased, pragmatic approach to all our projects. From inception through to strategy, installation and then ongoing maintenance and support, we will advise, guide and safeguard your process.